Sunday Franciacorta Brunch (S$128 + 10% service charge + 7% GST). Served with Ca’ del Bosco Franciacorta Sparkling Wine, Italian Wines, Beers, Soft Drinks, Coffee & Tea. Buy Senso Ristorante & Bar gift cards and vouchers today and gift someone the dining experience of a top notch, authentic Italian faire! Established in 2000, Senso Ristorante & Bar has grown into one of Singapore's best Italian fine dining restaurants and is known for their genuine Italian cuisine as well as their impeccable food and service standards. Located at 21 Club Street, Senso Ristorante & Bar exudes a warm and sophisticated atmosphere, attributed to the clever retainment of the neo-classical lines of colonial architecture after the conversion of the former convent. The courtyard especially showcases its architectural style, whilst subtly blending in to suit the classiness and functionality of the modern era. In addition to their top notch menu, Senso is a great venue for lunch meetings, exclusive dinner parties, product launches, special occasions, or a regular get together. 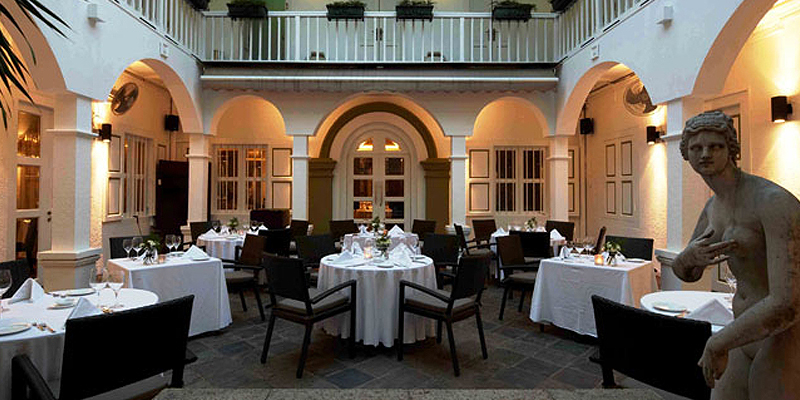 You may choose if you wish to dine in the cozy and classy main dining hall, or enjoy the rustic charms of their courtyard. You may also take a walk through their wine cellar and have a chat with their sommelier who can help recommend the perfect wine to complement the stellar dishes.